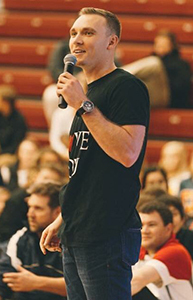 After being healed and finding peace, he followed his dreams and is currently speaking in Omaha, NE. Kyler has not, and will not stop showing people how much they are loved. He focuses on mental illness and overcoming obstacles. Kyler is a kid with an incredible story, and an even bigger heart. He refuses to be stopped, on his way to changing lives.